Centre for International Students & Study Abroad. It’s always fun to see all of the places that people have been and specifically what caught their eye when they were there. This year there was one photo that grabbed us all right off the bat. To me, the kid on the right glancing over makes the photo. Congratulations to Andrew Gilbert for winning the Overall Grand Prize. Not an official category but this is my pick for “best title”. Again, not an official category but, “best glasses”. I’m a sucker for big glasses. What can I say, they’re my thing! I first met Palma back in January when we both worked on Second Bloom, a theatre production of Fire Exit Theatre Company. Palma did an amazing job of the make-up for Second Bloom and I had fun doing some shots of her during the application process backstage. I met up with Palma and Zoltan for a shoot on a VERY chilly morning but they were excellent sports with a lot of personality. You gotta love a girl who understands the necessity of wardrobe changes. Many thanks to The Art Gallery of Calgary for allowing us to shoot in their outstanding venue and warm our frozen fingers. 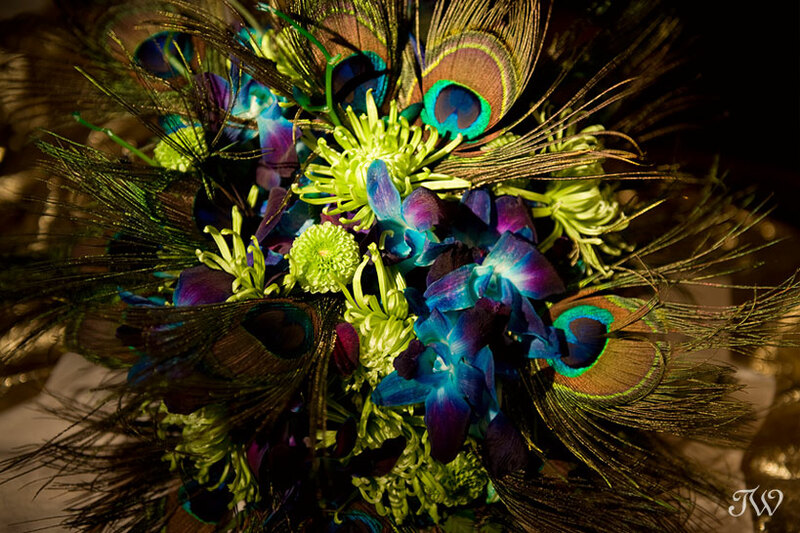 Calgary Zoo weddings are always special but I was delighted to shoot Pam and Gord’s winter wedding in the Safari Lodge. 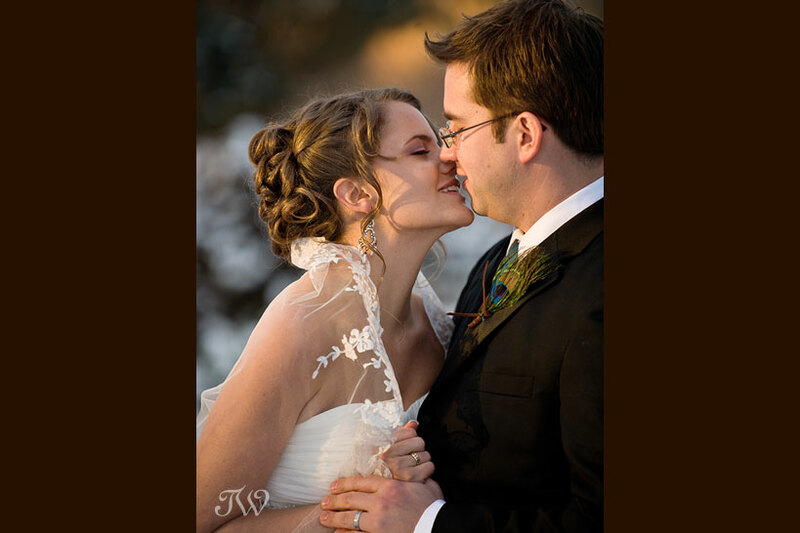 It was lovely to see their personalities shining through in every aspect of their wedding. Congratulations to my dear friends, Pam and Gord. 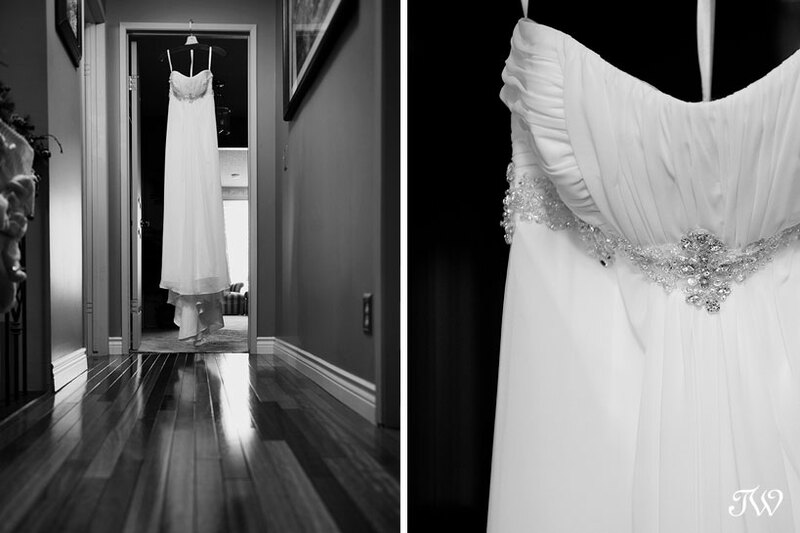 Pam’s beautiful strapless gown was from Blissful Bridal boutique in Calgary. It was important to Pam and Gord to incorporate elements of Pam’s Mexican heritage into their day. Little tidbit, Gord even proposed to Pam in Spanish. Anyhow, this is the “lazo ceremony”. 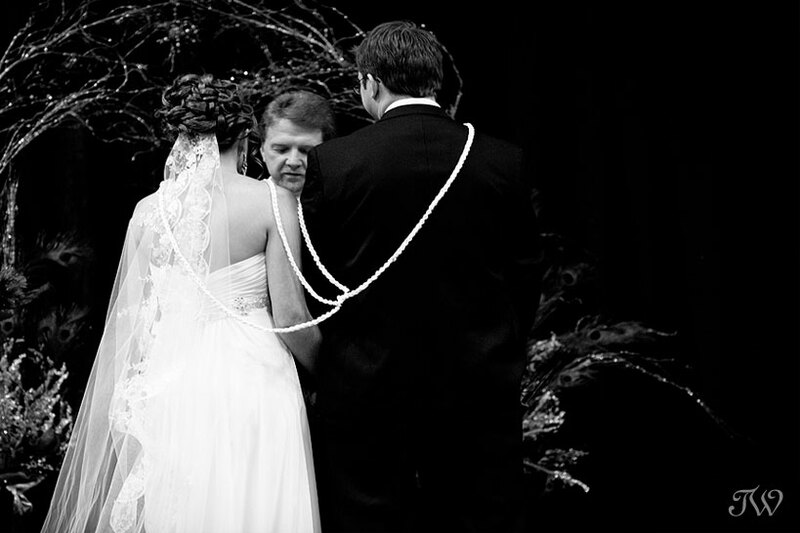 The cord were placed over them by each of their mothers and this is the cord that was used in Pam’s parent’s own wedding. The light after their ceremony was literally golden. Pam braved the cold for a hasty portrait session around the zoo grounds. Pam, it was so worth it. The strolling Mariachi band during the cocktail hour were phenomenal and really set the tone for the evening. There was a Salsa demonstration followed by dancing lessons and the dance floor was packed. Here is Pam and Gord’s autumn engagement session if you’d like to see.